Amex is offering varying transfer bonus offers to different cardmembers on transfers from Membership Rewards to AsiaMiles. I was offered a 10% bonus as you can see, which is kind of *yawn*, but others have reported up to 30% bonuses. Cathay Pacific’s Asia Miles were recently devalued with regards to premium cabins and round trip awards, but they are still a viable option for Oneworld partners, especially if you lack American Airlines miles. 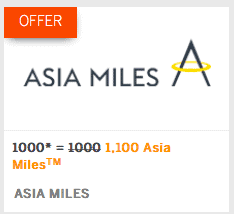 Caveat: You can also transfer to Asia Miles from Citi ThankYou. I always think it’s a good idea to check your balances and try to retain a balance across programs. For a 30% bonus and a current need, I think it’s great but for 10%, I’d probably sooner transfer my Citi to Asia Miles than Amex points. What did you get targeted for? 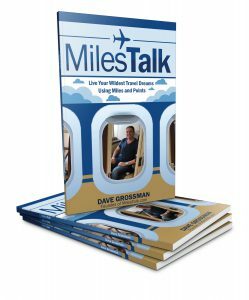 Comment here, on Twitter, or in the private MilesTalk Facebook group.